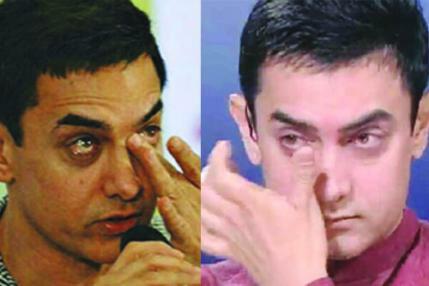 Aamir Khan, who is getting rather popular for sobbing at movie screenings, bawled like a baby at the screening of Kapoor & Sons. The actor admitted, “I cry a lot while watching films, and I cried a lot during this one too.” Here’s why we believe him. A little over a month ago, Sonam Kapoor’s inspiring and moving film ‘Neerja made Aamir so weepy that the tears didn’t stop until he exited the cinema hall — much to the delight of the cameras.